Did you ever play around with magnets when you were a kid? Remember the way that you could hold a strong magnet over certain metal objects– like a paper clip or a thumb tack– and the object is pulled up to the magnet where it sticks? This cool science trick is pretty magical if you think about it. If you’re single and looking for your perfect partner, you might wish that finding your love would be as easy as this magnet trick. The idea that you could go about your day-to-day life and, without even concentrating on it, draw to you a man or woman who is just right for you is possibly very appealing! Maybe you’ve been to a social event or business meeting and you notice that some people seem magnetic. From your vantage point, it appears that other people flock to this person and intently listen to his or her words and want to be in the presence of this person. Sometimes we refer to those with a magnetic personality as being charismatic. There is often a certain charm that this individual has. The person isn’t even necessarily all that physically attractive; there is just something about him or her that draws others in and holds their attention. Not everyone wants to be like this. It might not appeal to you to have this level of charisma. But, what probably does sound good is the idea that the person who is your perfect match could be drawn to you in a magnetic way. We believe that each and every one of us has the potential to magnetically attract love. If you’d like your partner to be drawn to you in a way that feels effortless and easy, know that the potential to be magnetic is inside of you too. You don’t have to be limited by your age, race, ethnicity, physical appearance or anything else. 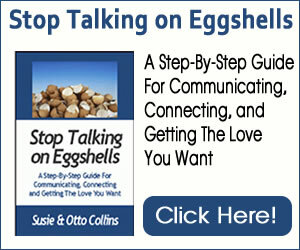 You can be quiet, mild-mannered and even introverted and STILL be able to attract a partner who is just right for you. Use these 4 tips to tap into your magnetic potential and attract the love relationship you want…. #1: Remember what gets you excited. It’s time to get stirred up and excited– in a good way. Many people forget what they love to do or stop doing what they enjoy because they believe that they don’t have enough time for it or it’s impractical and indulgent to spend time or resources on it. We’re here to tell you that making time to get excited about whatever excites you is absolutely essential to attracting your perfect partner. Think about that person who people seem to flock to. In the vast majority of cases, that charisma is 1 part confidence and 1 part genuine excitement. In many ways, it doesn’t matter what the person is excited about. The power is in that fact that he or she is pumped up about something, some person or some way of living. Just figure out and/or remember what your passions are. Next, we invite you to schedule regular time to follow your passions. It might be going dancing, taking a pottery class, riding your bike, playing ball with friends, studying philosophy or learning how to identify tree leaves…. What matters most of all is that you keep feeding that part of you that yearns to know more about something or engage in certain activities or pursuits. Notice how you feel inside when you do this thing that you are interested in and passionate about. We’re betting that you feel energized, more alert and engaged with your life. This is the cool part, because it’s where you tap into your magnetic energy. When you follow your passions, it will show on outside. You will glow and become more inviting and attractive. Throughout this process of figuring out what gets you excited and then doing what you’re passionate about, be on the lookout. Stay open to the people you meet along the way. Chances are, your perfect partner might show up when you’re doing the things you absolutely love to do. It might not be in the exact moment that you’re rafting through river rapids, for example, but it could be. It’s important to truly be open, because your perfect match might not look, sound or act like what you expected. Keep tuned in to how you feel and what makes sense to you to do. #4: Let your best self show. Hiding your true self can amount to hiding your best self. Practice honoring who you are– not who you think you should be– and letting that show whether you are on a date or just getting to know new people. This authenticity and healthy self-appreciation helps you be even more magnetic. This is what will get the attention of your perfect match and bring him or her to you.